MIT’s Institute for Data, Systems, and Society (IDSS) is focused on addressing a broad range of challenges by promoting research and education in Data Science education, statistics, decision making, and the social sciences. It was launched simultaneously, in the Fall of 2016, with MIT’s new Minor in Statistics and Data Science, and is available to MIT undergraduates, from any major. They do not yet have a Data Science PhD program, but are in the process of developing one. However, it should be noted that MIT has been researching “Machine Learning since 1997,” and has developed a significant expertise in this area. Machine Learning, in turn, has laid a foundation for their research in Artificial Intelligence (AI). Additionally, MIT has put a heavy emphasis on providing business professionals with a need-based, non-degree, Data Science education, providing the school with an understanding of real-world business needs. The AI and Computer labs were (and are) subdivisions of the Electrical Engineering & Computer Science Department (EECS). The Machine Learning Group is not a part of the IDSS, but is supported by the EECS. 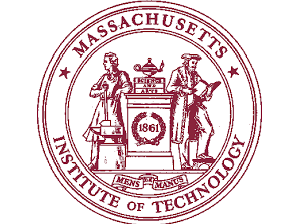 MIT has chosen to list Data Science education as a subdivision of IDSS, but in truth many of the needed classes are taught by the EECS. The Minor in Statistics and Data Science requires six core classes, taken from a list of twenty-seven options. IDSS is spread out among MIT’s five schools of learning and embraces a philosophy of producing “well-rounded” Data Scientists. Students will be taught information theory, social behavior, optimization, control theory, and network science. These varied disciplines promote the understanding of complex design principles and structures, and stimulate new paradigms and new ideas. The program focuses on giving students a working knowledge of computation, statistics, and probabilities, and the skills to perform a data analysis. The MIT Professional Education program has existed for over 65 years and is a part of MIT’s identity. It provides access to MIT expertise, research, and knowledge by offering advanced education programs specifically designed for working professionals. In addition to its Digital Programs, the MIT Professional Education program offers industry-focused, on-campus, one to five day sessions through its “Short Programs,” and classes abroad through its “International Programs.” They also offer Custom Programs specifically designed for corporate clients. After completing of a program, individuals receive an MIT Professional Education Certificate of Completion and also gain access to MIT’s private professional network, and useful resource benefits. MIT has developed a research initiative, titled SystemsThatLearn@CSAIL, with the goal of accelerating the evolution, development, and deployment of software systems using Machine Learning and Artificial Intelligence. ‘Systems That Learn’ was created to allow cross-collaboration and to accelerate the development of human-like AI systems to serve humanity. MIT coordinates its faculty to work with select, state-of-the-art industry partners in resolving some of the most difficult real-world business issues. The CSAIL initiative has played a major role in the evolution of computers. Its researchers have been prominently involved in major developments, such as massively parallel computers, time-sharing, and a great deal of the technology supporting the World Wide Web and the Internet. Its members (past and present) have started over 100 businesses, including Lotus Development Corporation, Akamai, and iRobot. CSAIL is also the home of the World Wide Web Consortium (W3C). A $27 million fund has been established to advance Artificial Intelligence research for the public good. The Berkman Klein Center for Internet & Society at Harvard University, and the MIT Media Lab will act as bases for the initiative. The goal is to support a variety of AI governance and ethics projects in the United States, and abroad. The Berkman Klein Center’s mission is to understand and explore cyberspace. The Center studies AI norms, development, dynamics, and standards and attempts to assess the need for sanctions and laws. AI and complicated algorithms in general, combined with Deep Learning systems and Big Data, are rapidly changing how individuals work and live. Generally speaking, people are unaware of the information about their lives that is gathered by various corporations. Another significant concern is built in prejudices installed in decision making programs, such as bank loans and social services. The funding will work with existing efforts, and with communities focused on similar goals. A significant portion of the fund will sponsor and support an AI fellowship, provide support for joint projects, and build networks to guide AI’s evolution in ways that help create a healthy society. This research will include questions that address society’s ethical expectations of AI, using Machine Learning to learn ethical and legal norms from data. The Media Lab has recently begun exploring the moral issues involved with autonomous vehicles and by the ethics of human-robot interaction. LIDS is a part of the new Institute for Data, Systems, and Society (IDSS) and develops new analytical techniques and tools for analysis, design, system modeling, and optimization. MIT is a leading institution in providing Data Science education and with all its ongoing research, investment, and continuing growth of its many programs in Data Science, Machine Learning, and Artificial Intelligence, MIT is assured of being a leading proponent of these inter-related fields far into the future.